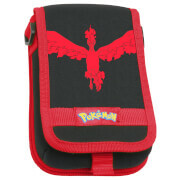 This carrying case is a must-have for all Pokémon Trainers. 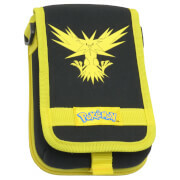 This case features the iconic Zapdos Pokémon and will protect your system from dust and scratches. This multi-case is compatible with the New Nintendo 2DS XL, New Nintendo 3DS XL, New Nintendo 3DS, Nintendo 3DS XL and Nintendo 3DS. It is not compatible with the Nintendo 2DS. This case features the iconic Moltres Pokémon and will protect your system from dust and scratches. 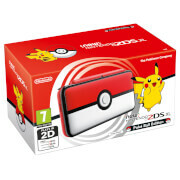 This multi-case is compatible with the New Nintendo 2DS XL, New Nintendo 3DS XL, New Nintendo 3DS, Nintendo 3DS XL and Nintendo 3DS.It is not compatible with the Nintendo 2DS. 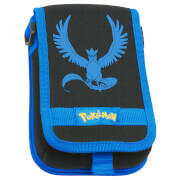 This case features the iconic Articuno Pokémon and will protect your system from dust and scratches.